The entire wall of the gallery was covered in treacle (a thick form of molasses). 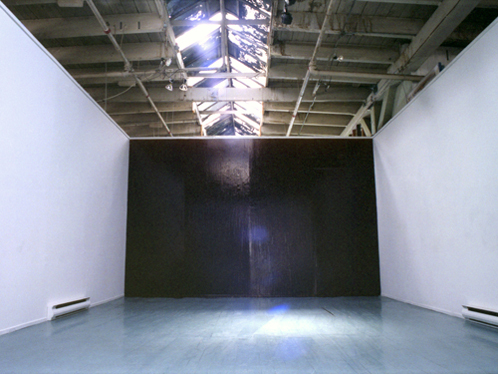 Over the course of the exhibition period, the treacle slid slowly down the wall and formed the pools you see on the floor. The wall itself had the appearance of a glaze with slight colour modulations. It had a sickly sweet smell which dissipated over the days.